Deciding to add an in-ground pool to your backyard is a huge decision. It is a great investment for your family, but taking on a pool project can be overwhelming. One of the first things that you will want to do is schedule a few in-ground pool quotes. As with anything, people like to know what to expect when they schedule a quote. 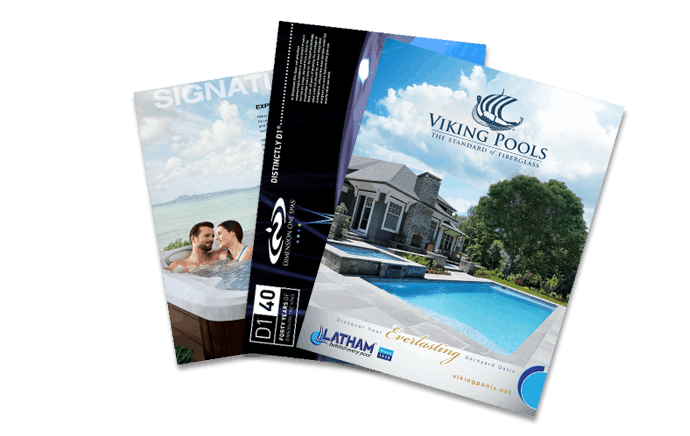 We have put together a brief guide to help you get your pool project started. For an accurate pool quote, you will need to have a pool contractor come to your home to actually see your site. The consultation will probably take about 90 minutes. During that time the contractor will be covering 3 general things; placement options, site access, and what features you want for your pool. After these things have been thoroughly covered, your contractor will be able to give you a general idea of how much your pool will cost. The contractor will then take the information he has gathered, check current pricing and get you a firm written quote, usually within a few days. Typically the written quotes are good for 60 days. One of the biggest factors in pool cost will be the type and size of pool you choose. For in-ground pools, there are vinyl, fiberglass and gunite options. Each option comes at a different price and has different benefits, so you may want to do a little advanced research so you know which option might work best for you. The location of your pool in your yard will contribute to the overall cost. The zoning laws concerning pools in your area will play a role in where you have to put your pool. Once you know this, the cost of your site can be evaluated. How much grading and/or fill dirt is required will be considered along with any clearing of trees or fences that needs to be done to install the pool. Most people have a few special features that they would like to add to their pool. Waterfalls, fountains, spas, tanning ledges, benches, and slides are just a few of the fun features that can be added to your pool, but they come with additional cost. There are also added features that have to do with the functionality of the pool, for example heaters, automatic vacuums, and automatic pool covers just to name a few of the things that can add to the overall functionality of your pool, but also add to the overall cost. Finally, what you decide to put around your pool will also affect the cost of your project. Many people choose to put a deck or a patio around their pool. The cost for either of those will vary greatly depending on the design. When all of the things listed above are taken into consideration a fairly accurate estimate can be made. However, what you pay could change for a few unpredictable reasons. For example, if a giant rock shelf is found or if the water table is unusually high, additional costs can occur. Every effort is made to watch for signs of possible problems, but not every problem can be seen in advance. Any changes that you make to the original plans will also cost extra. You may decide you want to add a fountain or heater, but changing plans in the middle of the job will cost more than it would to have the feature from the get go, so make up your mind early to help keep costs down. All of this can seem overwhelming, but at Aqua Pools we make it easy. Simply give us a call to schedule your estimate and our skilled staff will walk you through every step of the process. Buying a pool should be fun, let us take care of the stress!